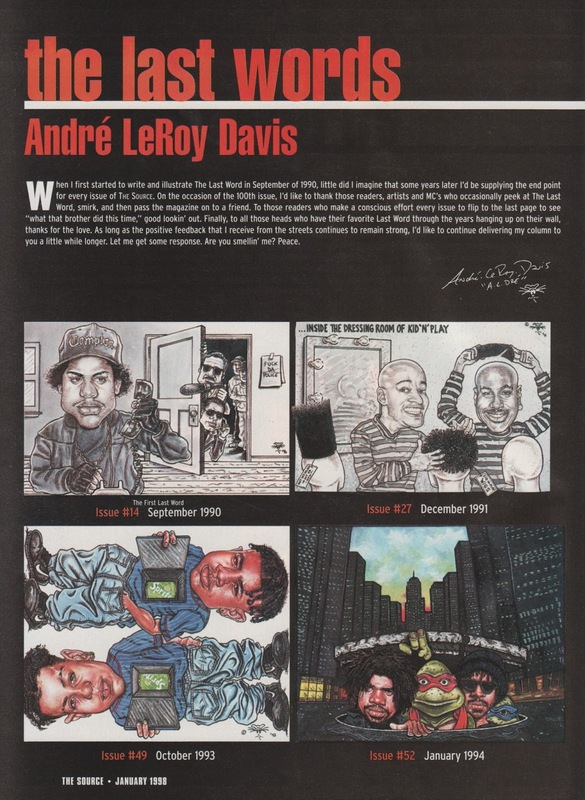 Hip Hop Illustrator Andre LeRoy Davis is responsible for all your favorite illustrations as part of The Last Word in The Source. My personal favorites were the Biggie illustration pictured above, Nas vs. Jay-Z, KRS throwing Prince Be (R.I.P.) of PM Dawn off-stage and another Slick Rick when he was locked down. 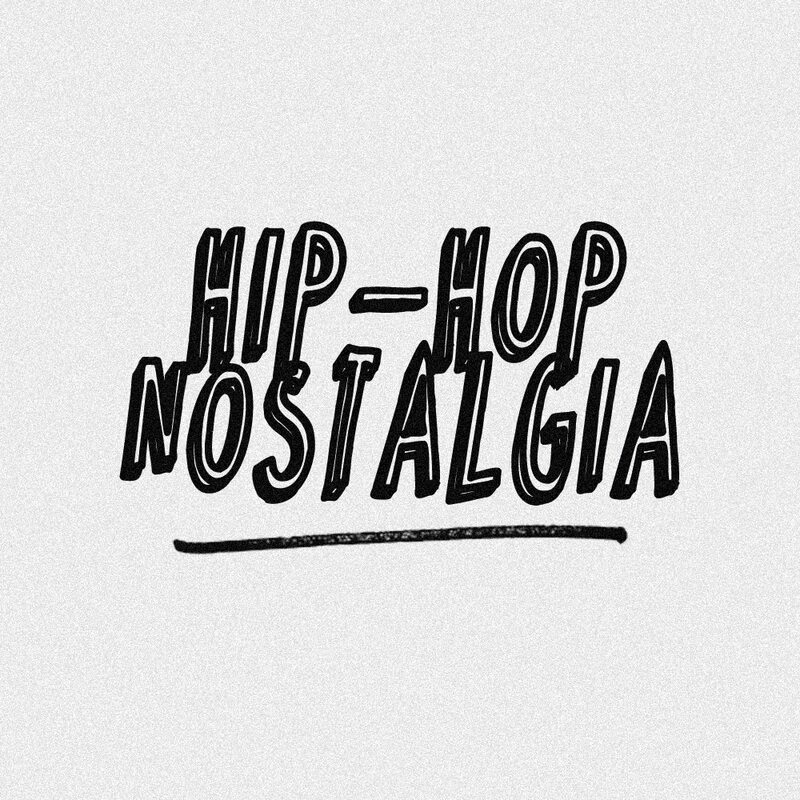 Born in Brooklyn, Andre LeRoy Davis' work dates back over 25 years and he pushed the envelope on calling various artists to the table for some of their f#ckshit, generally bringing unique humor to an industry that often takes itself way too seriously. 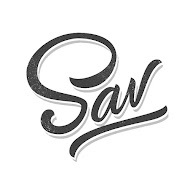 It's worth noting that he retained ownership of all his illustrations, a nice power move that I recommend to all artists regardless of their place in the industry. 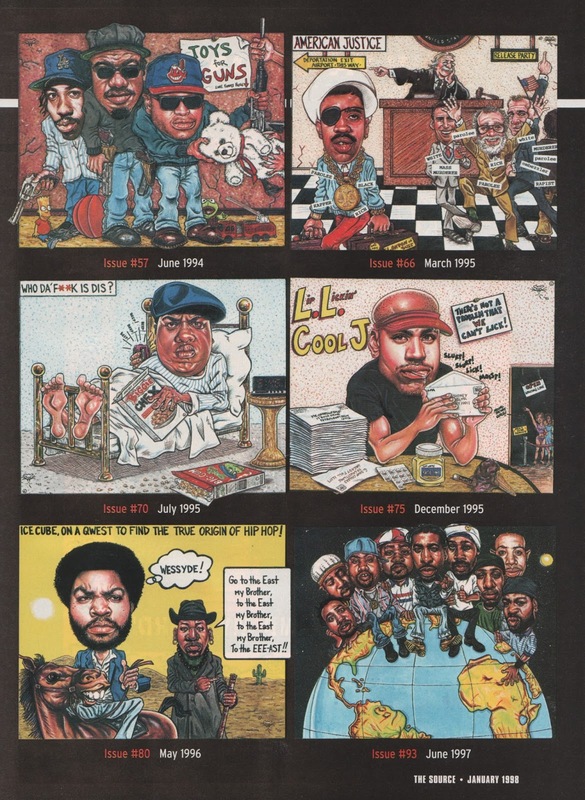 From hidden messages to inside jokes, fans of hip-hop from back then or who discover them today can agree that The Last Word's satirical views were a standout in each magazine and remain an important piece of hip-hop history. I'd love to know which artists took the most issue with his art and some of the smaller details in each, but you can enjoy a sample of his work above from The Source, January 1998. Visit his site for merch options.